Location: Cozy, modern, comfortable and attractive Duni Royal Resort is located in a beautiful bay of the Black Sea, 40 km southwards of the city of Bourgas. The 4.5 km long and up to 100 m wide beach is covered with fine golden sand and dotted with natural dunes. 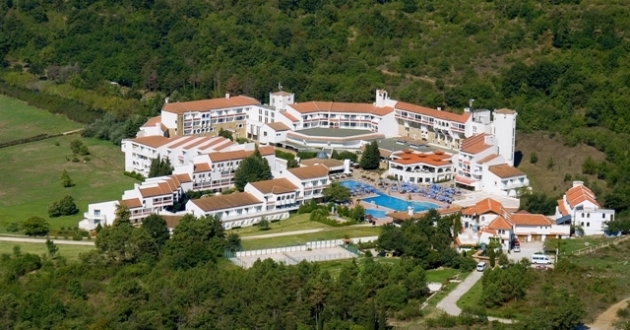 Accommodation: Holiday village is located on a hill, in a forest, among mediterranean greenery, about 200 m away from the beach. At guests disposal – 201 premices (Double rooms, Aparments and Suites), all air-conditioned, with Sat-TV, telephone, fridge, safety deposit box (in room or at the reception), WC/Shower or bathtub, hair dryer, carpet or terracotta floor, balcony or terrace. In the complex: 5 hotel restaurants, 2 conference halls, several bars, cafe, cocktail bars, night club, wine cellar, billiards, several outdoor swimming pools, seven tennis courts (two of them with lighting), table tennis, archery, beach volleyball, beach football, darts, animation program, coffee games, pool games, amphitheater, evening entertainment, open-air gym. For children – animation, mini-club, children’s playgrounds, children’s swimming pools, children’s high chairs and baby corners in the restaurants, baby cots. – 2 “A-la-carte” restaurants, open only for dinner, with service. A reservation in advance is required. High chairs for kids in the restaurants. – 1 Disco bar in Holiday Village. 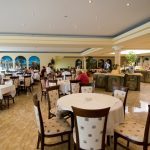 Food and beverage: Buffet meals: breakfast, late breakfast, lunch, snacks, coffee and cake, sandwich corner, dinner, midnight snacks; domestic brands of alcoholic and non-alcoholic drinks, and hot drinks. Pools: 4 outdoor swimming pools, with kid’s pools, showers, parasols, sun-beds and towel service. Beach: Wide and long beach, with tiny sand and shallow bay, with life-guards, parasols, sun-beds, showers, changing cabins, towel service, water sport station and medical station. Mini Clubs: 2 kids clubs in Pelican and in Marina Beach with groups for 3-6 years, 7-12 years and teenagers 13-16 years. Children entertainment: kids animation, kids dinner, children play grounds, kids pools, kid’s video, mini disco, children show. Remark: The sport activities are located all over the Resort. Entertainment: Amphitheater with evening show programs in Holiday Village area; disco; pool games: aqua splash, shuffleboard & water polo; dance courses; zumba, boccia, darts, bingo games; Cocktail games, Club Dance; Тhemed parties: Beach, Pool, Aloha, Toga, White, International etc. AQUA PARK, open in the period 01.June – 15.September. 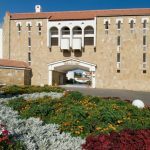 – SPA centre in Marina Royal Palace: fitness, massages, hairdresser, manicure and pedicure, cosmetics, solarium etc. – Pets are not allowed in the Resort. 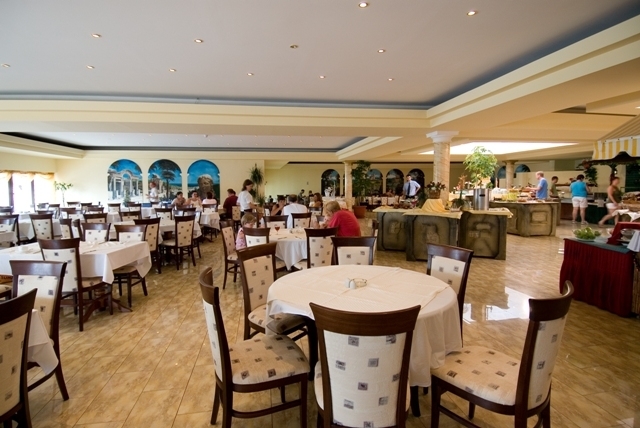 – The “A-la-carte” restaurants are open 6 days a week. – The guests of Marina Beach, Pelican, Belleville and Holiday Village can use all the facilities in Duni Royal Resort, except: main restaurant, lobby bar, indoor and outdoor pools in “Marina Royal Palace”. 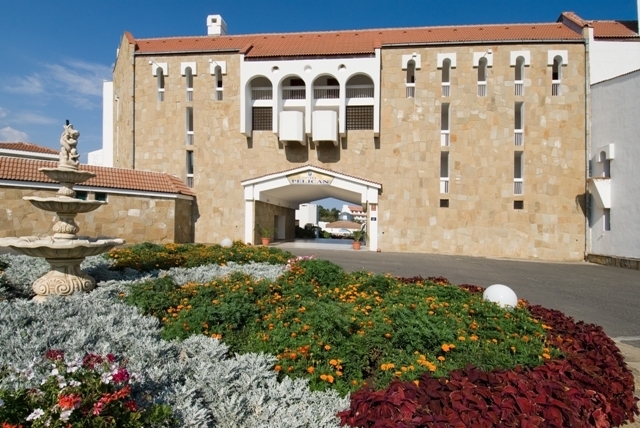 – The guests of “Marina Royal Palace” can use all the facilities in the Resort. All prices are in euro on All Inclusive basis. Changes of EB reservations after 31.03.2019 will not be accepted. Air Condition – in the period: 15.06-15.09. Out of this period – if it is necessary. Junior Suite only on request! 2 adults + 2 infants (0-1.99yrs.) could be accommodated in double room. 1 adult + 2 children (2-11.99yrs.) in double room – DBL room price for 2 adults. Late cancellation for the period 01.07-31.08 – 60% penalty. No show / Early departure for the entire season – 100% penalty.